Visit our music page for samples. Little did we know, during our show in Brooklyn this past November that a member from one of our favorite bands was watching and enjoying our set. We got some high praise from Sammy Yaffa from The NY Dolls that night. To us, that is more relevant and cooler than any award other locals praise about! Blackcat Elliot was voted Best Local band in 2006 by the readers of The Capital Region Living magazine. Blackcat Elliot was voted Second Best Local Band four years in a row by the readers of the Times Union. We have been fortunate to have our new material blasted on every radio station in the Capital District. 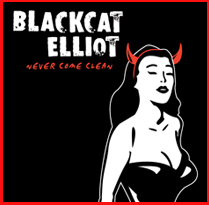 Make sure to call and request Blackcat Elliots first single Never Come Clean. 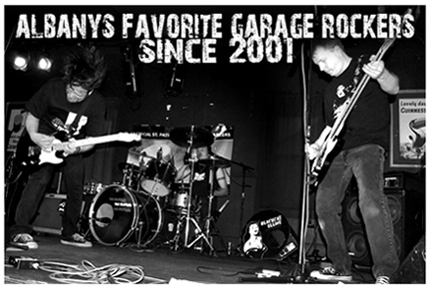 parties from Albanys favorite Garage Rockers. Send BCE an email with your email address and you are in. ©Copyright 2011. Design by haidesign. Kudos to Mike Read for web site support.